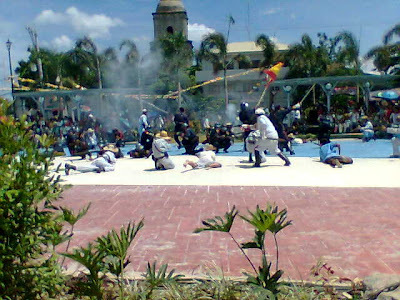 Once again, for its second year, the Wagayway Festival featured the re-enactment of the Battle of Alapan dubbed as "ENCUENTRO" Imusenos witnessed the LOUD explosions of gunpowder and intermittent cries of “Fuego! (Fire! )” and “Sugod, mga kapatid! (Charge! 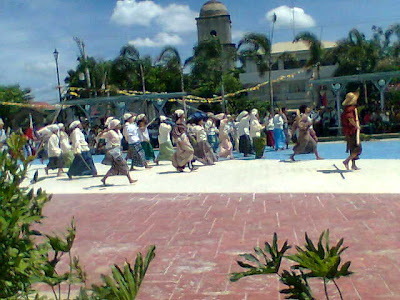 )” on May 23, 2009 at the newly inagurated Gen. Licerio Topacio Plaza. 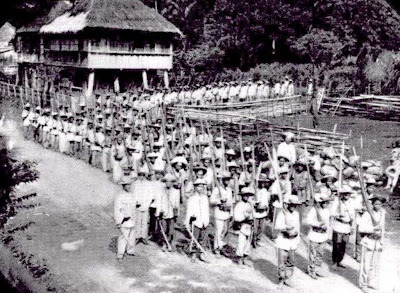 Filipino revolutionary forces defeated some 270 Spanish marines in the five-hour Battle of Alapan on May 28, 1898. For the first time, the Philippine flag was unfurled by Aguinaldo.“This flag is the one we will unfurl and wave in our approaching and longed for freedom. And this will be the symbol of our country today and till the next generation. Long live our freedom! Long live the Republic of the Philippines!” the actor who performed Aguinaldo’s role in Saturday’s celebration said in Filipino. By May 1898, the army had about 12,000 troops. 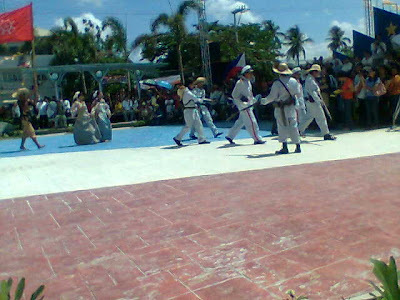 The battle of Alapan was Gen. Emilio Aguinaldo's first victory after returning from overseas (Singapore) on May 19, 1898. 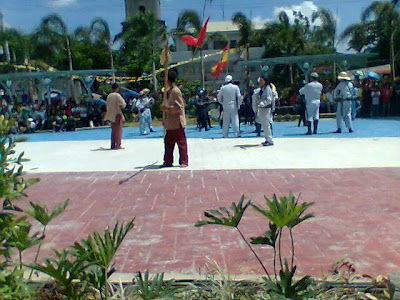 The Alapan I Elementary School now stands on the site of the battle.The Filipino national flag was hoisted for the first time after the victory in Alapan. 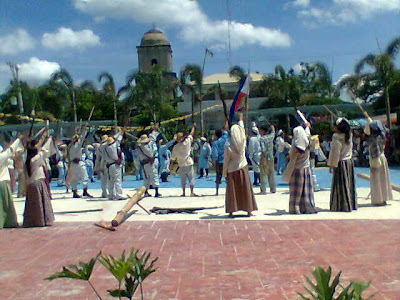 The flag was unfurled by Aguinaldo at the Teatro Caviteno in Cavite Nuevo (now Cavite City) on May 28 before victorious Filipino revolutionists and more than 270 captured Spanish marines. A large group of officers and men of the U.S. Asiatic Squadron under Admiral George Dewey witnessed the unfurling ceremony. The flag was designed by General Emilio Aguinaldo and sewn at 535 Morrison Hill, Hong Kong by Mrs. Marcela Marino Agoncillo - wife of the first Filipino Diplomat, Felipe Agoncillo, with the help of her daughter Lorenza and Mrs. Delfina Herbosa Natividad, niece of Dr. Jose P. Rizal and wife of Gen. Salvador Natividad. A Filipino Army battalionGeneral Aguinaldo said of that encounter: "There it was that the first engagement of the Revolution of 1898 took place. The battle raged from ten in the morning to three in the afternoon, when the Spaniards ran out of ammunition and surrendered, with all their arms, to the Filipino revolutionists, who took their prisoners to Cavite.